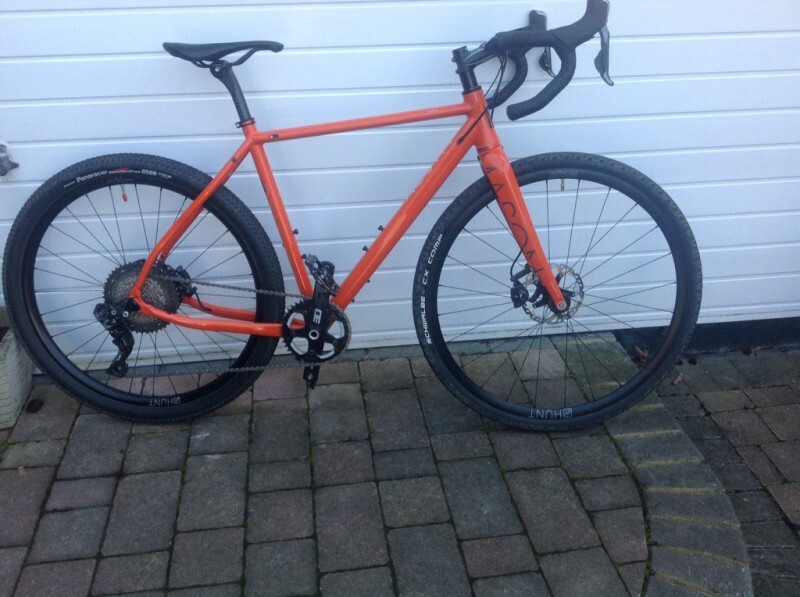 Adventure bikes have become a rapidly growing niche in the world of cycling over the past couple of years. 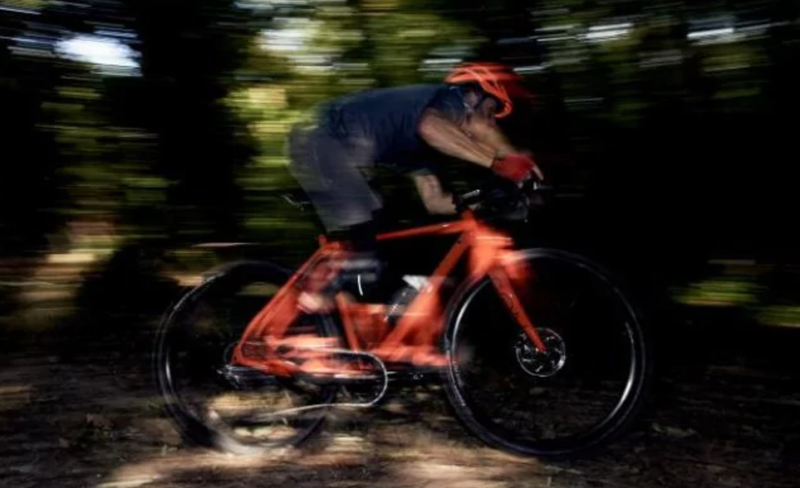 The growing market of CX and adventure-geared bikes has meant great business for bike manufacturers who have kept up with the trends and have widened their offerings. The population of adventure and cyclocross (CX) cyclists are made up of both road bikers who wanted a different challenge as well as individuals who may never have found their way into biking if it hadn’t been for the increasing growth of CX, mountain, and adventure bikes being created en masse. 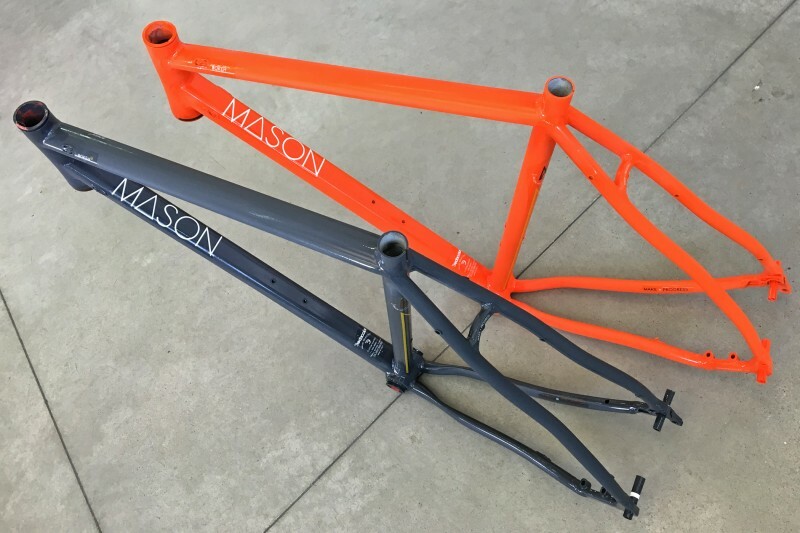 Mason Cycles is a brand that hails out of the United Kingdom. 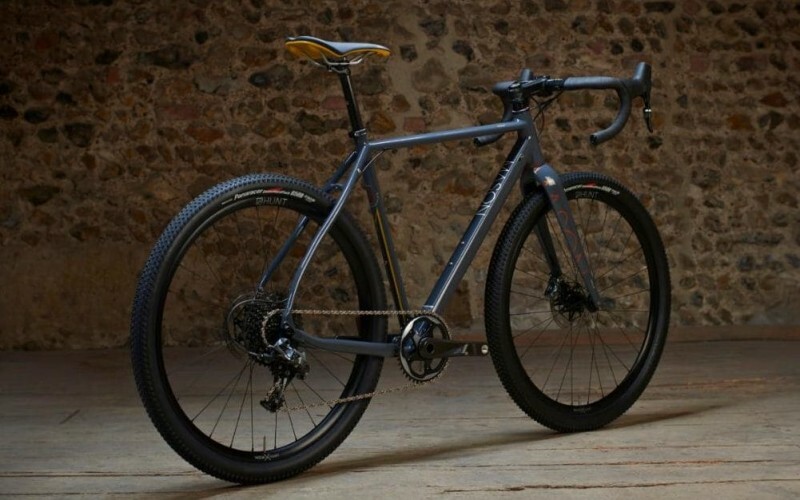 Building their bikes in Italy from custom titanium, aluminum, and steel tubing, this brand offers a range of drop-bar bikes that are equipped with the ever-popular disc brakes and modern components. The Bokeh Collection is made up of various bike models intended for the adventure bike niche. To understand Mason Cycle’s intentions for this bike, let’s take a look at the most basic part of the bike — it’s name. “Bokeh” is a term used in the world of photography. While this may sound like it has nothing to do with cycling, it actually has a lot in common with a photographer’s capture and a bike-maker’s goal. Bokeh is a specific quality of the blur produced in out-of-focus areas of a photograph — this is the way the camera’s lens renders out-of-focus points of light. 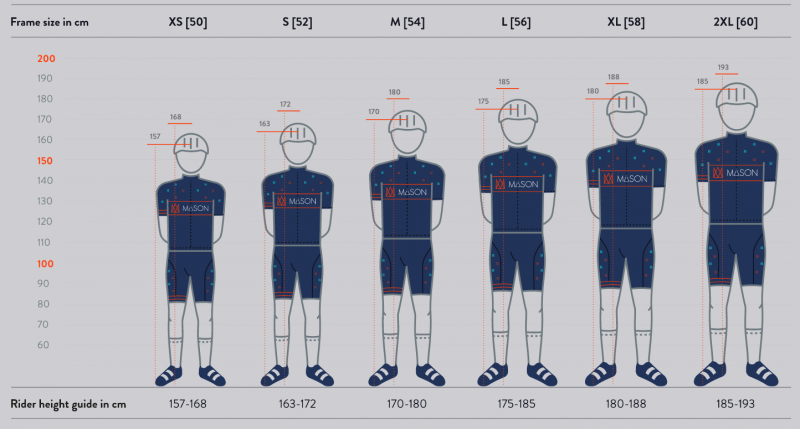 What does this have to do with cycling? Well, the company decided the name was appropriate for their new series of Adventure bikes — nothing inspires confidence like the image of a speeding rider crushing the trail through mud and rocks and rain. This “blur” is meant to represent the rider of a Mason Cycle Bokeh bike. Now, on to the good stuff — the specs and tech. 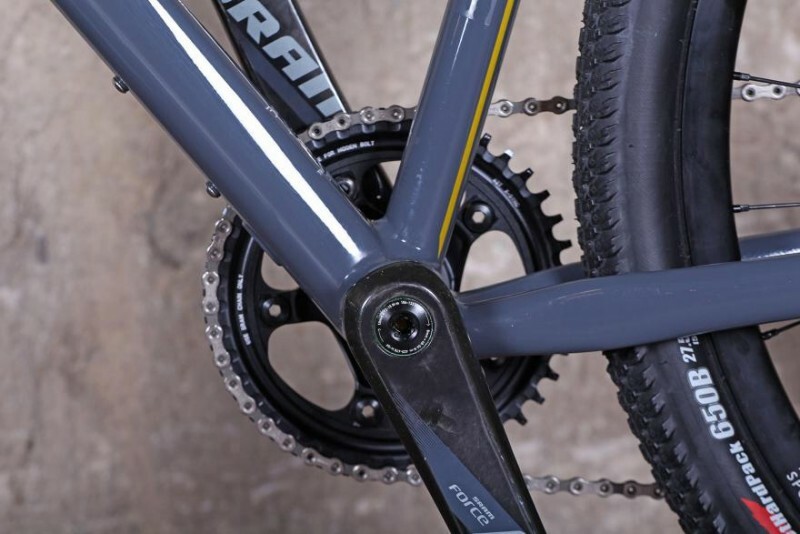 The Mason Bokeh Force 1X 650b is named for the thru-axle 650b wheels it sits upon as well as SRAM’s Force 1X hydraulic disc brakes. 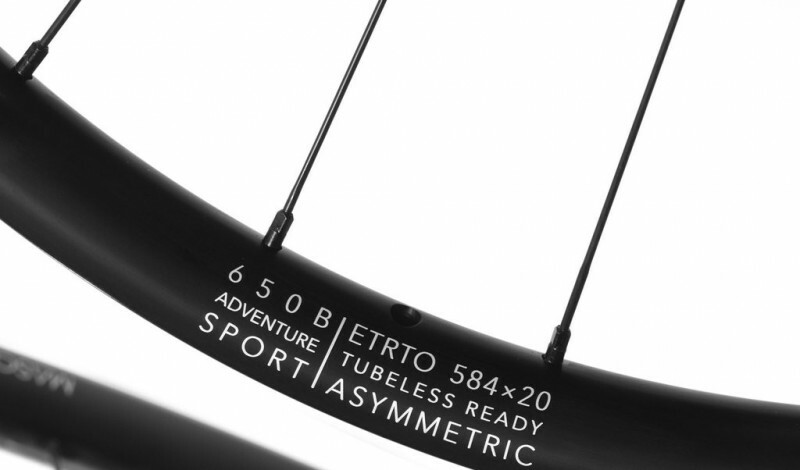 With this size becoming more and more popular among CX, mountain, and adventure riders, it has ultimately become a great addition to this model. The new Bokeh (as I will simply call this particular model from henceforth) is a combination of an aluminum frame and a strong carbon fork. 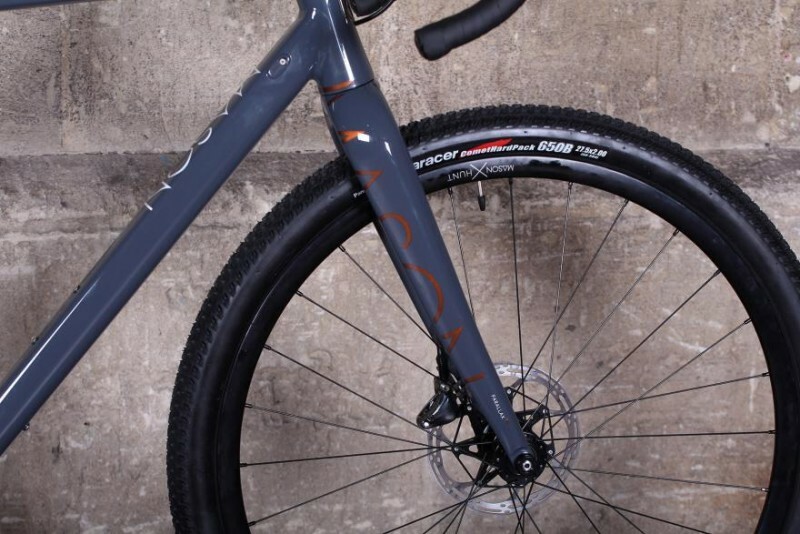 Made especially for adventure riding, this model features thru-axle 650b wheels and huge 44mm tires. With SRAM’s Force 1X hydraulic disc brake groupset and a Deda and fabric finishing kit, this bike looks like a CX bike at first glance — but the huge gear range offered (40t at the front and 10-42 at the back) as well as the huge knobby tires show that this Bokeh is something more than a cyclocross bike. Saddle: Exclusive Mason x Fabric, U.K. designed, Shallow, Elite Alloy rail Fabric Scoop Elite seat with color matched saddle base. 260g in weight. The Bokeh Force 1X 650b has an incredible frame. 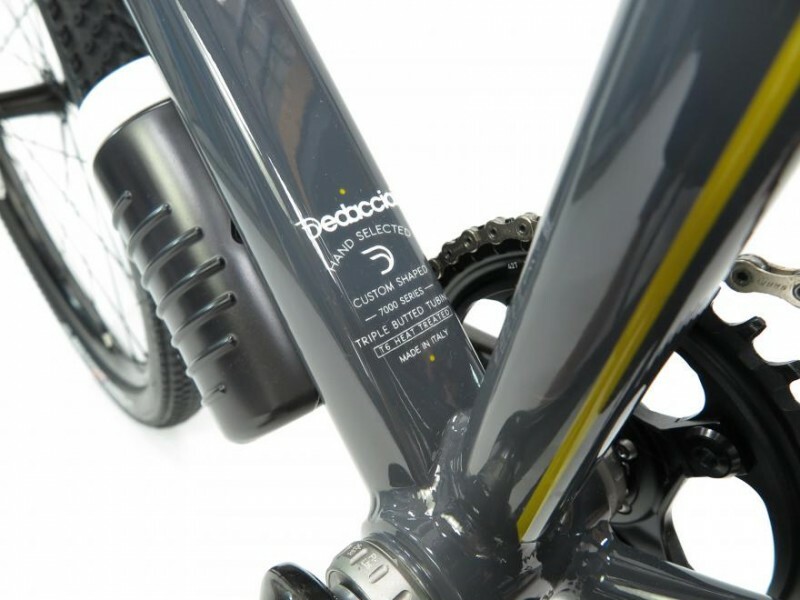 The dedacciai, custom formed, triple-butted performance Aluminum frame attaches to Mason’s Parallax full carbon thru-axle fork for strength. A triple-butted performance Aluminum is impressive construction and will provide strength and stability — most other bikes only offer a double-butted frame. This model was designed to be ridden on all terrains and all distances. From deep, muddy, and broken ground; to blacktop, the woods, and mountains; as an adventure bike, this Bokeh is meant to be an all-terrain, all-purpose bike that can withstand punishing journeys. 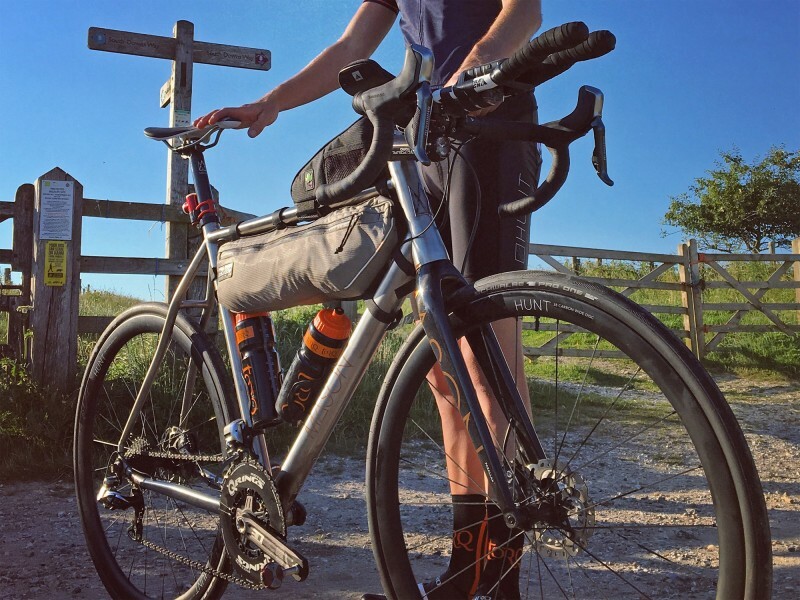 The bike comes equipped with racks, mounts for dynamo lights, mudguards, and three bottle cages. This Bokeh uses a 650b wheel size and comes stock with 44mm, knobby tires. 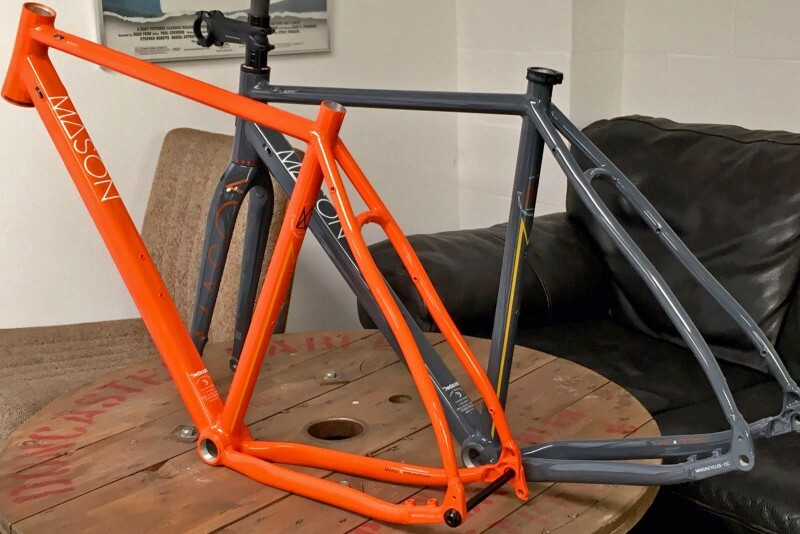 This 650b model’s frame will also fit the more conventional and larger diameter 700c wheels, which will give you some versatility and the option to switch between wheel types depending on your intended route. If you don’t like to ride on 650b wheels, no problem, take a look at the additional Bokeh models at the end of this review under “Price,” where a stock 700c model is available. When you finally get on this bike, it feels comfortable and oddly familiar. One of the great things about its geometry is that if you are used to road biking, there aren’t any surprises in the geometry or handling. With huge knobbly 44mm tires on 650b wheels, you may expect a slow or sticky feel, but this bike spins up incredibly well and the large contact patch it makes with the ground makes the ride incredibly comfortable. As an all-terrain bike, this Bokeh performs very well over rough terrains. Rocky trails, climbing through the woods, and riding in the muddy lengths of off-road terrain are a blast.  The geometry of the bike, which we complemented before, allows for an aggressive riding position that will feel quick without getting twitchy. It gives you great confidence taking on broken paths, even if you are not a very experienced off-road rider. A great aspect of the Bokeh is an important one — transition. This bike has a very comfortable transition between off-road terrains and blacktop. It actually feels at home on both — yes, even roadways, where the 650b wheels and 44mm tires would not typically offer a great ride. The very large, 44mm tires absorb the worst of the bumps during the ride — they will also help to avoid dismounting if you hit an unexpected root or rock — the size of the tires will take obstacles in stride. 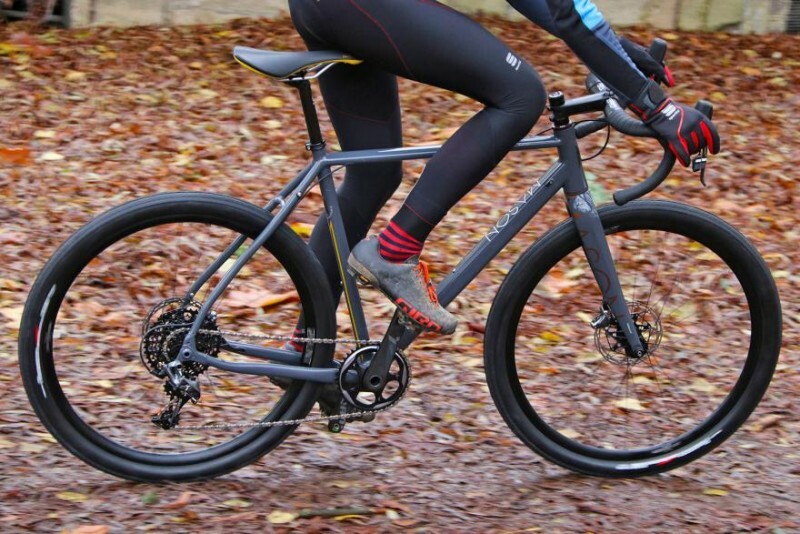 With the combination of the large, knobby tires, the carbon fork, and the aluminum frame make this bike as comfortable as a non-suspension bike can be. Even after hours of riding off-road, on farming track, on trails in the woods, and mud, you can get off this bike and not feel like you’ve been knocked around. 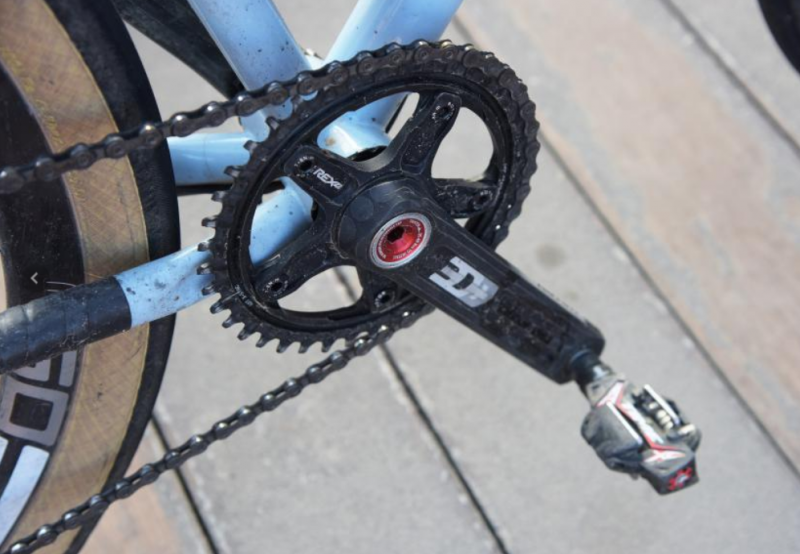 There is also the question of the big gear ratio — when you are taking on a steep and difficult climb, such as a muddy trail, you will be happy for the 42t on the rear cassette. 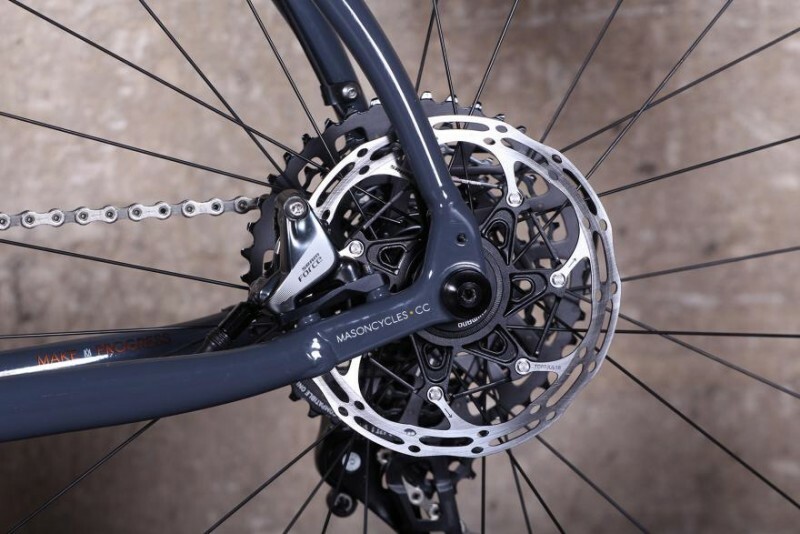 The beautiful SRAM hydraulic brakes are a great addition to this bike — they give this adventure cycle serious stopping power that will give you confidence. 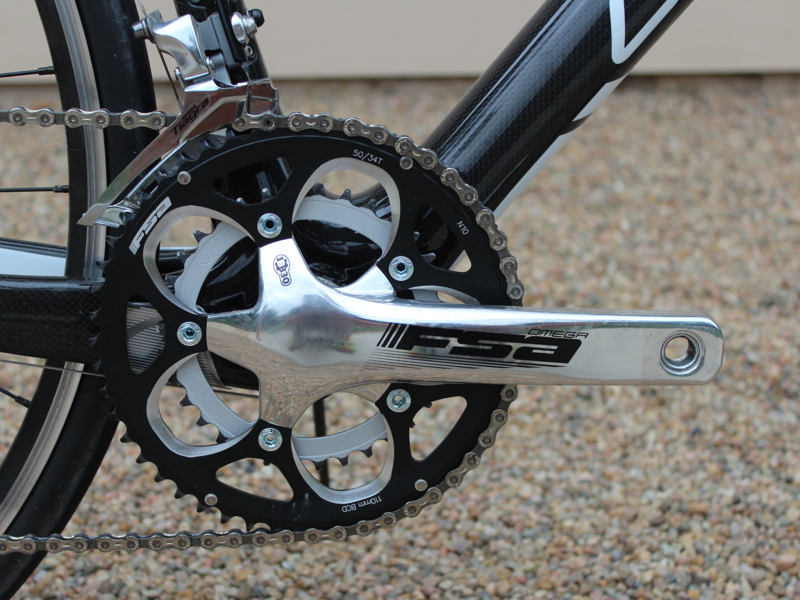 The full SRAM Force 1X HRD groupset offers hydraulic disc brakes that are perfect for superior stopping power off-road. 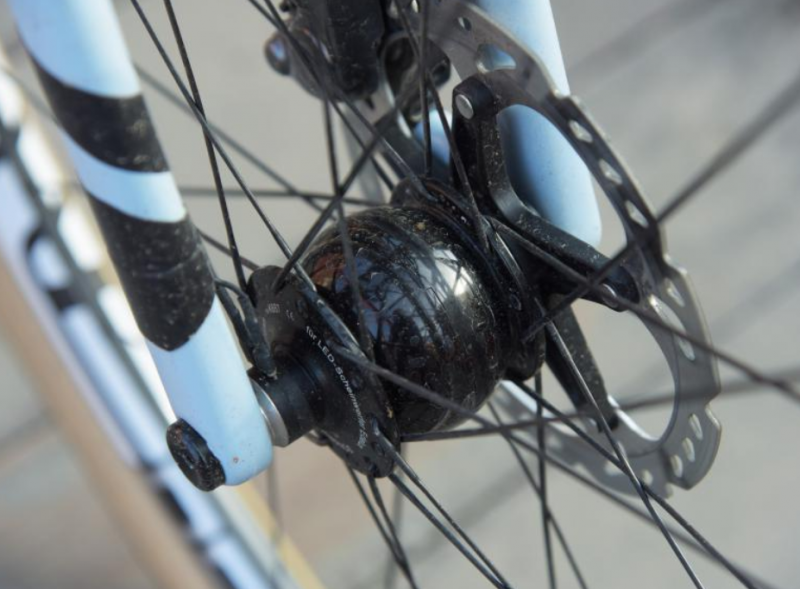 If you get muddy and your bike gets gritty (which it will if you have a great time), Mason Cycles has you covered again — with Mason’s unique MultiPort adaptable internal routing, your cables can remain free of gunk while still being easily accessed. There are two different, attractive colors for this model — one is a very sleek, understated grey while the other is an outdoorsman’s dream orange, which offers high visibility. 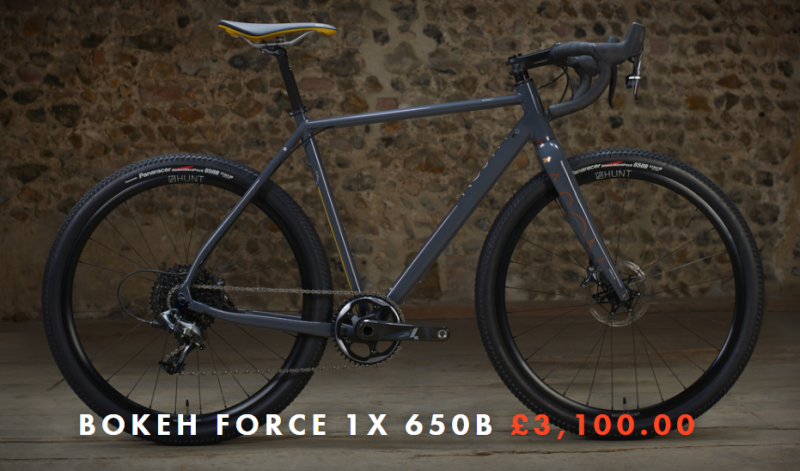 The Bokeh Force 1X 650b by Mason Cycles retails on their main UK-based website for: 3,100.00 pounds (GBP). The Bokeh Collection by Mason will be available for purchase in June, 2017. While the pricing is not significantly different on these three other Bokeh models, they do offer you other options to choose from in terms of component parts and wheel size. If you prefer a particular type of ride, consider these models as well to find the best fit for you.